Jimmy Zeledon moves in for his last 6BB and Paul Richardson goes over the top all in. David Valdez - in the BB - is now put to the test and he's unsure whether to walk away or call off his 350,000. The board runs out - Valdez adds a flush draw and a gutter to a Ten - river and the final table is going to be 9-handed instead of 10. 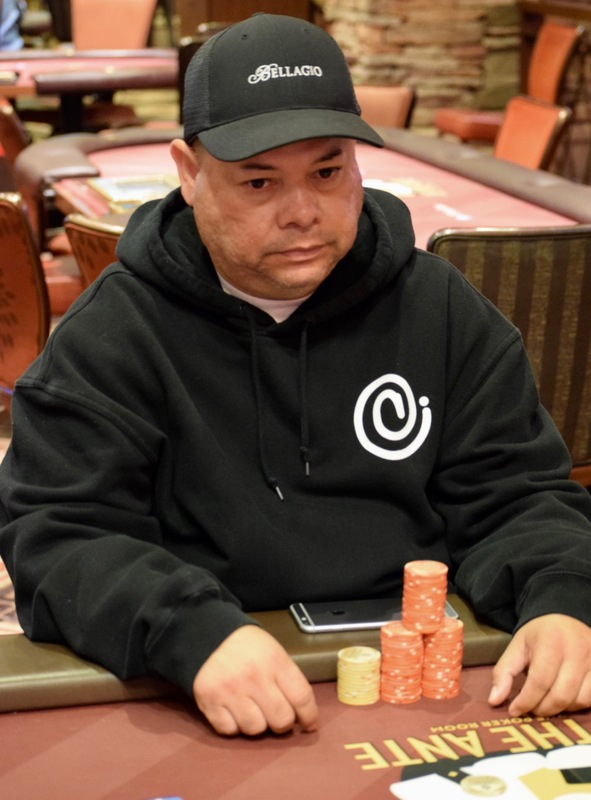 Zeledon is out in 11th place, Valdez in 10th, both cashing for $4,199. Richardson heads to the final table with 2,060,000 - 34 percent of all the chips in play.